Courtesy, as an expression of an inner humility, is all-too-sadly-missing from our culture, writes Anna Krohn. It is marmalade making time again. The dank, cold and late-Winter regional gardens are lit up by hope-giving globes and ovoids of fluorescent citrus: lemons, cumquats, grapefruit and, best of all, Seville oranges – those flattish but elegant packets of bitter-sweetness. There is something of the lost-arts and civilisation about marmalade making. And because it was a Bear named Paddington’s favourite food, there is something of his courtesy about it too. Paddington’s creator, English writer, Michael Bond died at the age of 91 in June just past. His literary child, Paddington, the bear from “darkest Peru” was depicted as being always out of his depth but quintessentially honourable and polite. Sadly, Michael Bond, who is not a Catholic, did not have an entirely happy experience in a Catholic school. However he did imbibe a concern for the fate of outsiders and refugees, and this inspired his creation. 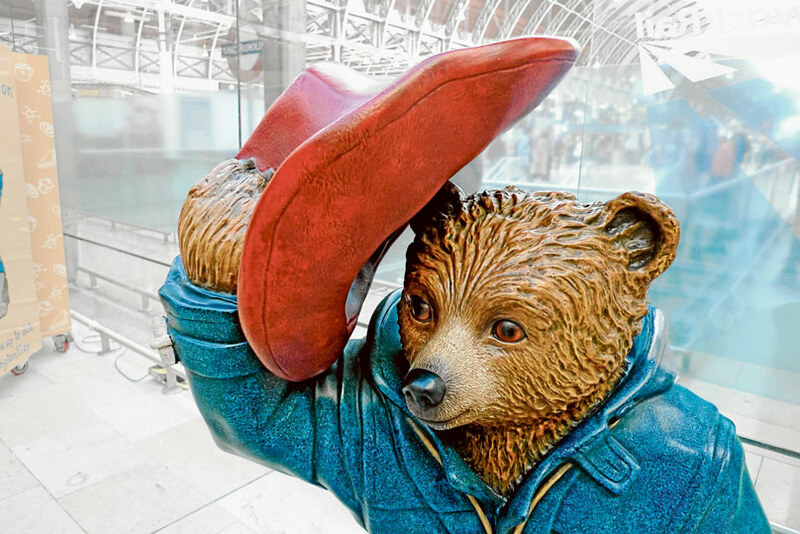 Paddington Bear’s adventures in late 20th century England invariably contrasted his (and often funny) civility in a Britain that had lost its manners. I think courtesy and civility mean far more than window dressing. Anyone who has dipped their toe into the “on-line” hyper-ocean for more than a day will be aware that far too many of the “voices” which inhabit that place are fueled by the mob vices of name-calling, spleen-venting and self-entitled derision. It is such a phenomenon that even Scientific American recognises it as “a thing.” Being discourteous adds not a jot to honesty, authenticity or hard-nosed investigation. In fact the carping meanness of political debate around the world is a sign of the loss of essential truths and values. I learned an early lesson about courtesy as a child. I had verballed all about me in a cloud-burst of passion. She told me of one of her father’s life principles: “Courtesy is applied Christianity.” It caused me to pause in my invective and listen. “Cappy” Parker (Captain Charles Avison Parker), a jovial and gentlemanly convert Englishman, who served as a Naval paymaster until he was 80 (the Navy forgot to ask and he forgot to tell) was the source of this saying. 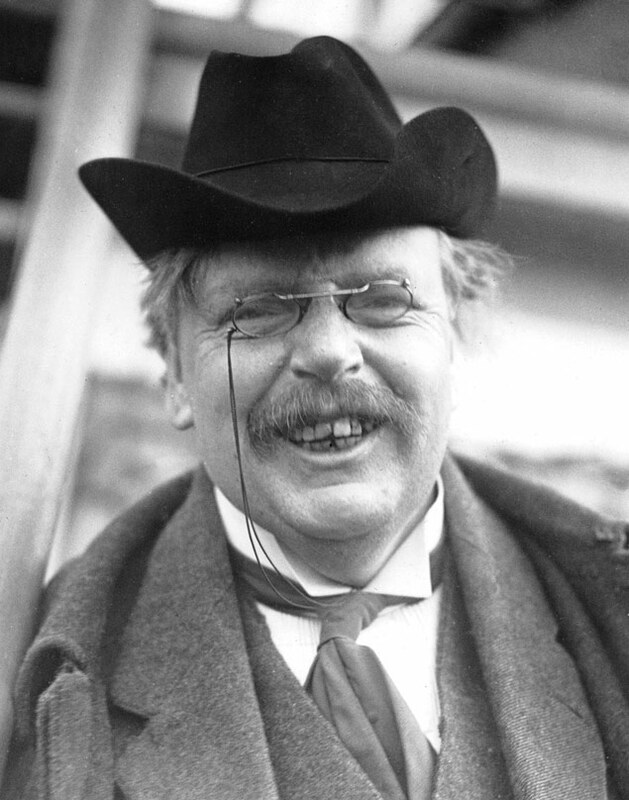 The celebrated 20th century apologist and author, G K Chesterton, pictured in an undated photograph. Courtesy towards others is a small sacramental way of showing that we believe in charity towards others, even if at times we do not feel it. 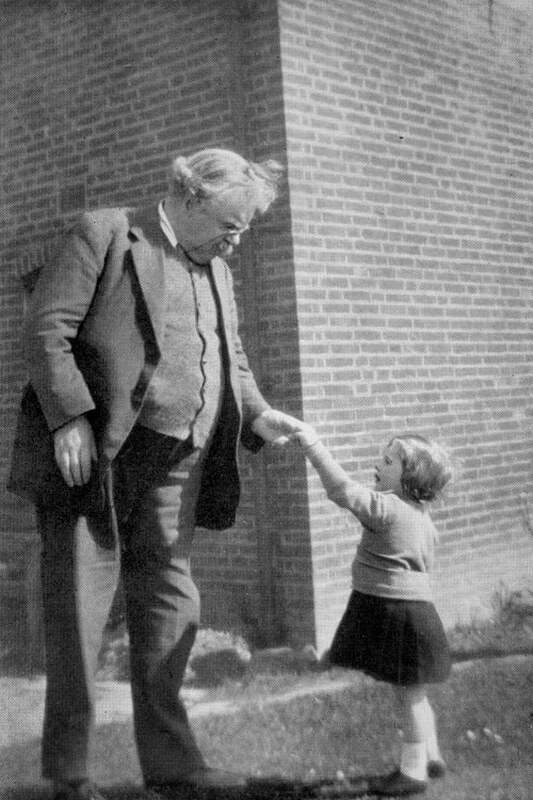 Being polite, as my grandfather so firmly believed, is a concrete, and sometimes difficult daily conviction in the dignity of the person who stands before us, and indeed a conviction in our own dignity. Only a few years after this document was promulgated, the world was to see how discourteous, crass and violent were the forces of the anti-Christian revolution to become. Courtesy is not only a virtue for the good times. Many of the saints had a sense of courtesy, some displayed a type of universal courtesy, a reverence and awe not only towards human beings but before all creation. Superficial courtesy of course does not make a person good. In fact a veneer of politeness smeared over a malicious or resentful heart can be hideous. Think of the parody of the SS Officers with their heel-clicking and fine tailoring. Dicken’s Uriah Heep is a skin crawling model of obsequiousness and stilted manner. Heep’s outward show was poisoned by inner envy and resentment. Courtesy is not strictly distinct from the other virtues, but rather a quality to be found in them all. It has something to do with reverence, humility, and chastity. If courtesy is the fruit of reverence, humility and chastity, it is no wonder our culture does not understand it. Anna Krohn is an educator and educational writer who has worked for the John Paul II Institute for Marriage and Family and the Australian Catholic University in Melbourne.